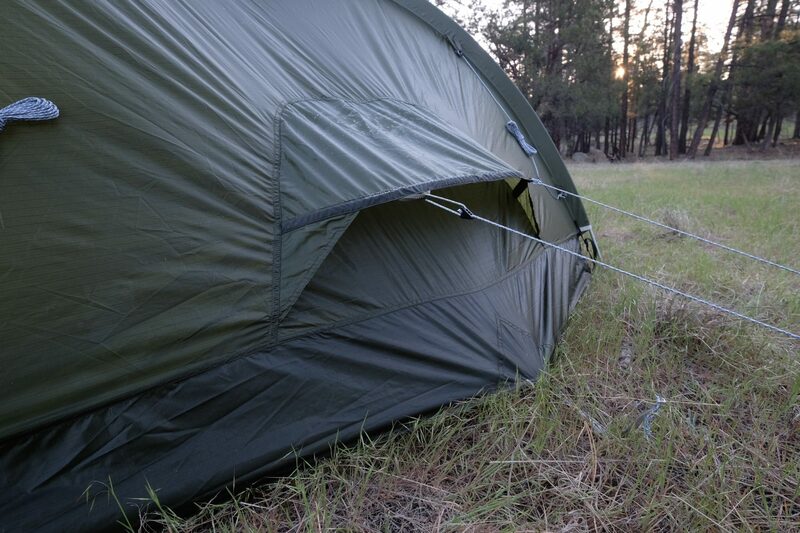 For decades tents have been neatly split into two classifications: three and four season. As accurate as the three season label is, denoting spring, summer, and fall usage, the four season designation is misleading. Most four season tents are not really designed for all seasons, but just the fourth—winter. If not actual winter, then environments where cold, wind, snow, and ice are the principle combatants. As such, those tents are often awarded expedition status, but they’re seldom appropriate for deployments in warmer, drier climates. In my opinion, any tent badged as expedition grade has to protect its occupants from all extremes of weather as well as survive protracted travels with heavy use for months on end. Many four season tents are up to the task, but only a handful of three season tents fit the bill. After pitching the Fjallraven Abisko Dome 2 for the first time, I realized it was in a class of tents with very few peers and represented everything I was shopping for. 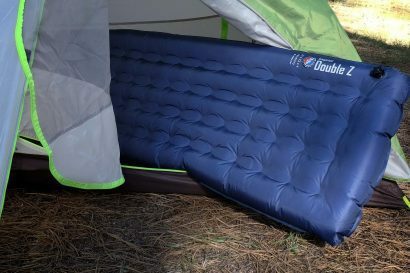 Built with premium materials for uncompromising durability, it has an inventory of appointments suitable for a warm camp in the desert, or a stormy hideout in the dead of winter. Even more impressive is the weight at just a shade under seven pounds. 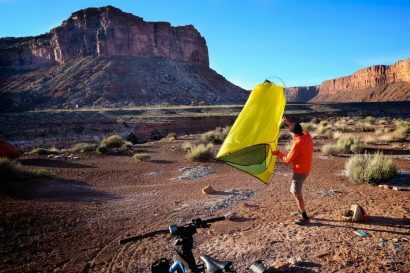 Light enough for backpacking, bicycle, or motorcycle travel, it’s also perfect for vehicle-based adventurers with strict cargo space constraints. Like everything in the Fjallraven catalog, the Abisko was created to meet the unique needs of Sweden’s most discerning backcountry enthusiasts. Scandinavians prone to wander remote wilderness areas require protection from high winds, blowing snow, driving rain, and cold temps. That’s just in the milder seasons. The Abisko has a handful of design elements common to tents from this part of the world, namely the double-walled architecture with the poles placed in the outer layer. The advantages to that approach are manyfold. 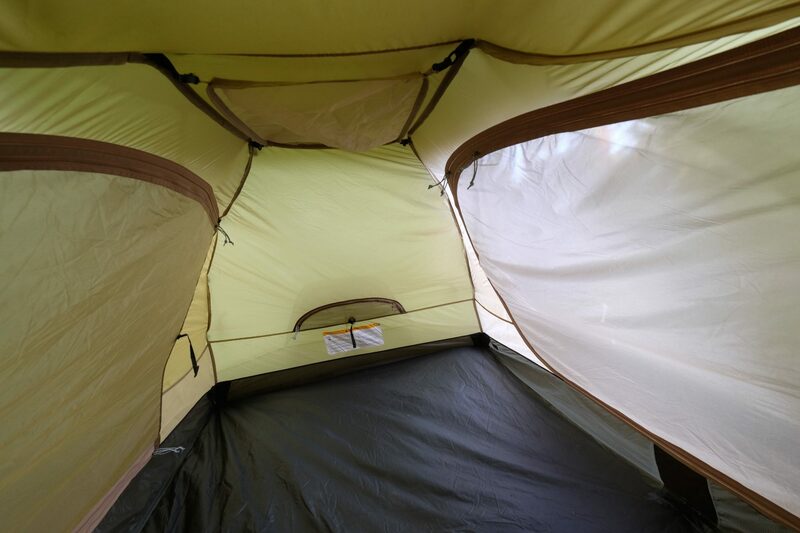 The inner tent and outer rainfly can be pitched simultaneously with the inner tent body never exposed to the elements. That’s a key benefit when setting up camp in a driving rain. 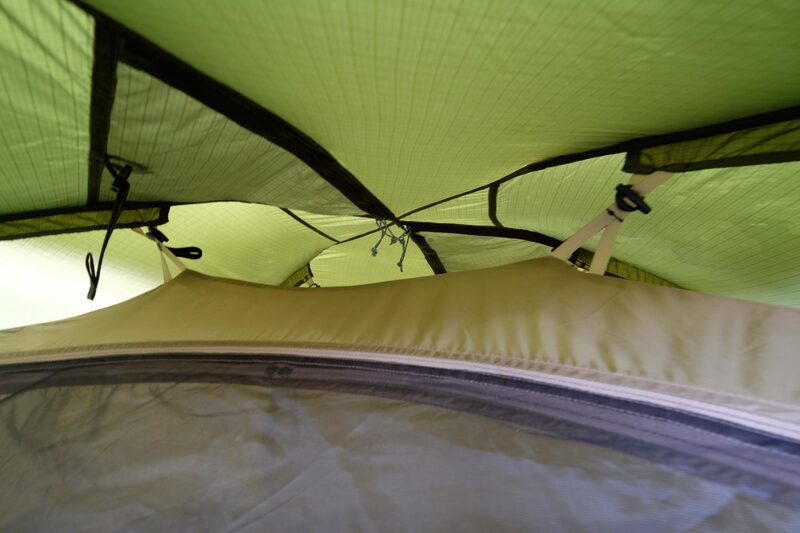 With the poles affixed to the outer layer like an exoskeleton, the guy-lines do a better job of bracing the tent against strong winds and heavy snow loads. Large vents at the opposing ends help move air through the shelter, and the full coverage rainfly extends all the way to the ground. 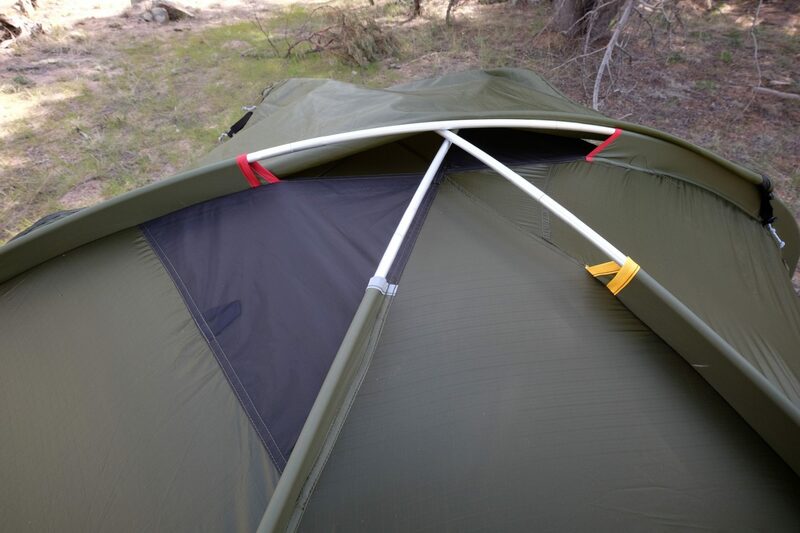 Whereas most modern tents employ clips to secure the poles to the fabric, the Abisko Dome 2 uses more traditional pole sleeves. I’ll be the first to admit this slows setup, but sleeves offer the benefit of more uniform tension on the fabric which bolsters the structural rigidity of the shelter. The sleeves can even accept a second set of poles for the ultimate in foul weather strength. With just the one set of poles in place it can survive big dumps of snow, brutal wind gusts, and other offenses suffered on fourth-season outings. With ample space for two, the inner tent is spacious, and the lighter-colored fabric keeps the interior from feeling gloomy. 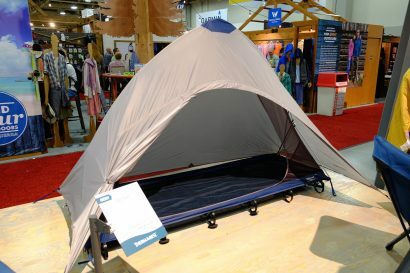 Not an add-on accessory, the tent comes with a mesh gear loft. 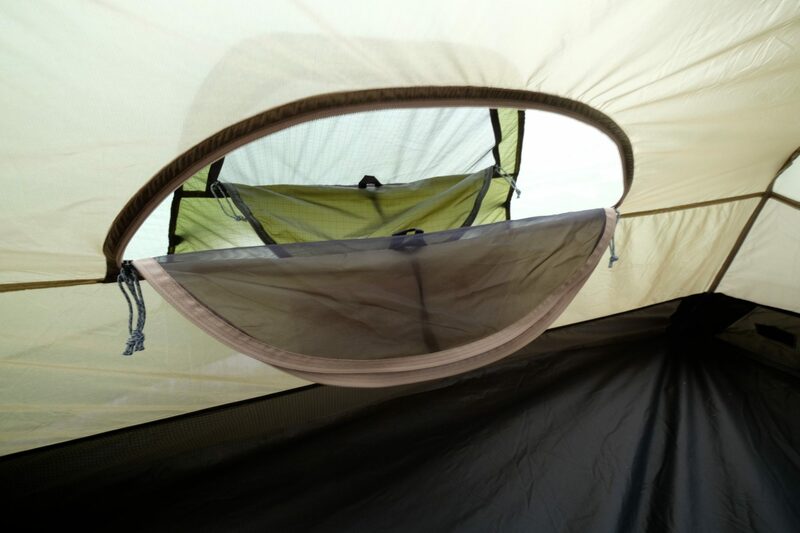 The ability to close off the mesh door panels not only helps warm the tent, it can help defend against blowing desert sand. The dual vestibules are massive and the doors large enough to permit easy entry and exit. Within the inner and outer components there are a number of thoughtful features which create a comfortable habitat when the mercury climbs. Traditional four season tents are miserable in hot weather as they lack the ventilation of their three season counterparts. 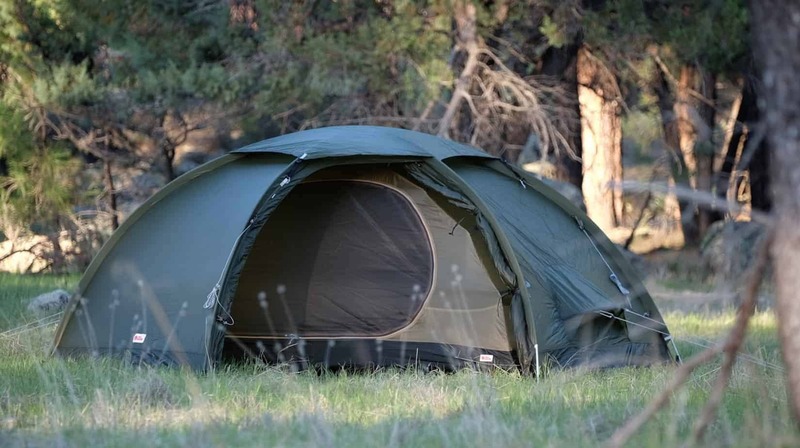 The Abisko Dome 2 has two massive doors with solid nylon panels, each backed with durable mosquito netting. With the dual vestibules opened and the mesh door panels exposed, even slight breezes pass through the shelter for cooling relief. 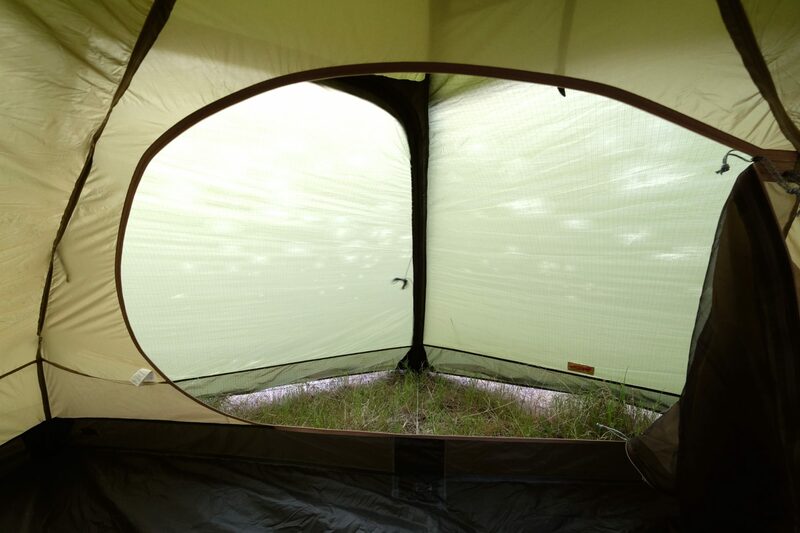 At either end of the tent are additional windows positioned near the two outer rainfly vents, each covered with a pronounced shroud to seal out foul weather. At the central peak, two triangular mesh panels can be opened to vent air. Those panels are protected by the rainfly’s top cap. Vents beneath the top cap help expel warm air. 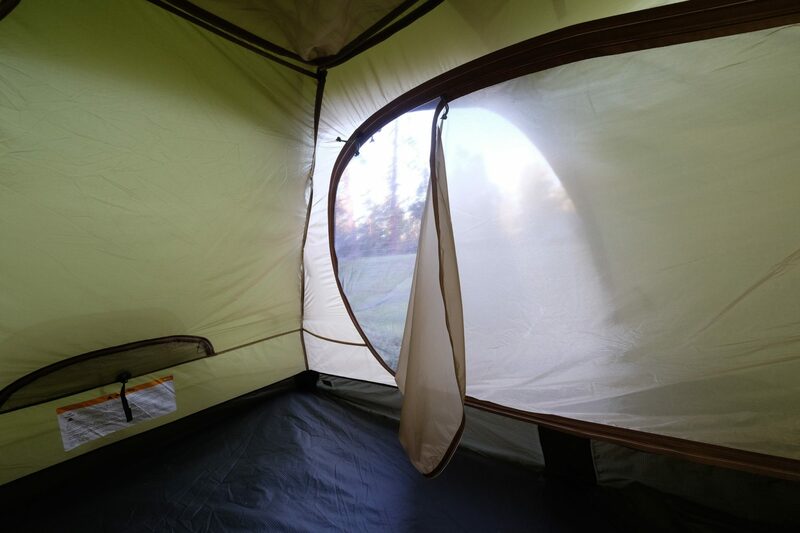 On a recent trip with the first mosquitos of the year swarming, we had all six of the mesh windows and doors exposed, a cooling breeze circulating in the tent nicely. When temps dropped into the upper 40s, we closed all of the panels and doors and had the Abisko sealed tightly to best capture the warmth within. It’s that versatility, combined with the structural strength, which makes the Abisko Dome 2 genuinely—four season. 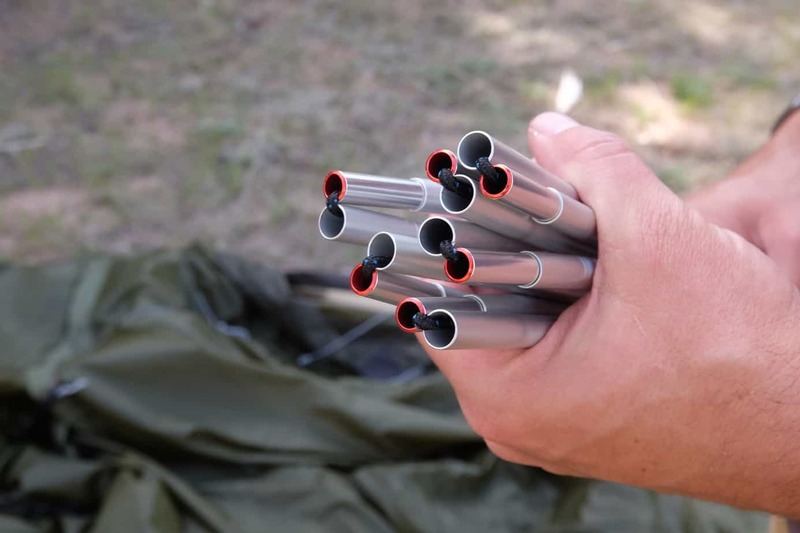 Color-coded pole sleeves help simplify setup. 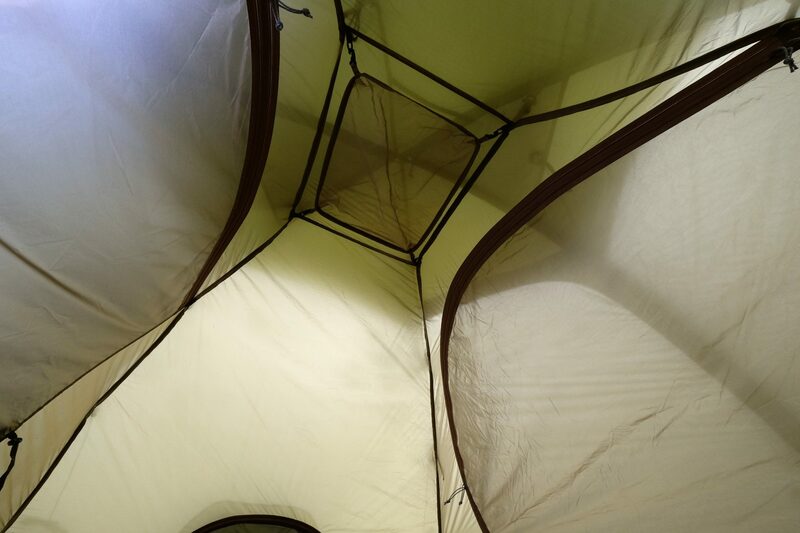 The large mesh peak panels are easy to reach from within the tent. The top cap secures with small toggles at six points. 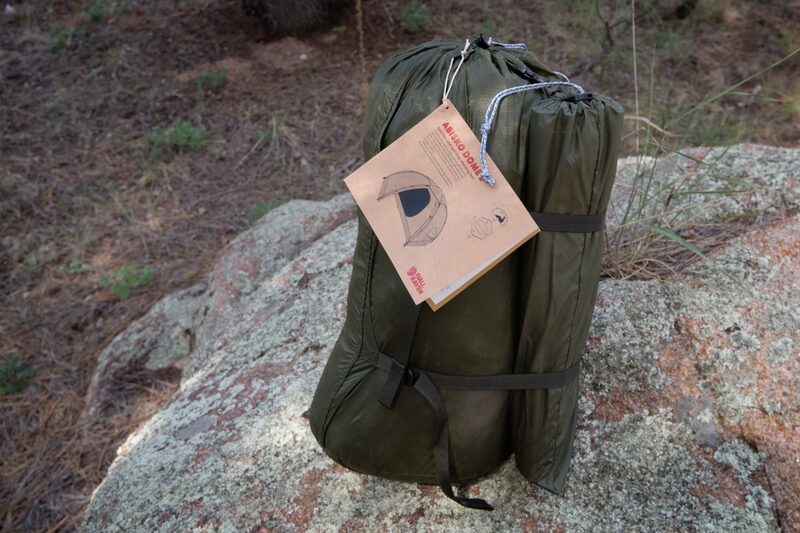 Additional appointments include four mesh pockets at all four corners, six sturdy guy-line anchor points, a gear loft for stashing small essentials, and field repair items including an extra pole section. No detail was overlooked in creating an all-weather shelter for prolonged use. 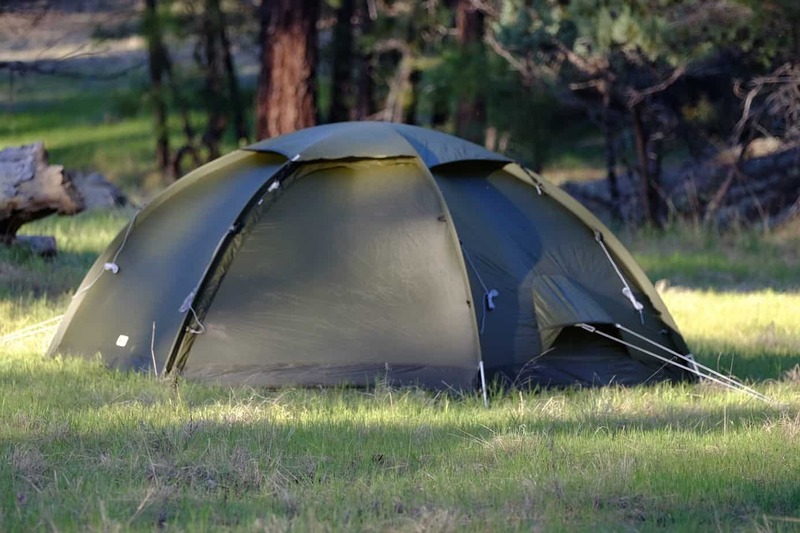 As I have come to expect of tents of this caliber, the fabrics have been treated with multiple layers of silicone for optimal weather thwarting performance and maximum service life. The aluminum poles feature rounded reinforcements at the ferrules for durability and to help the poles snap into place. The shock cords within the poles are oversized for durability.